In order to offer attractive public transport services, transport operators depend on a clear understanding of travel behavior. Norwegian public transport operators, however, have less access to such data than operators in comparable countries. The research project Smooth Mobility in Oslo (SMiO) aims to develop a solution for allowing travelers to report own travel date on a mobile application. This study examines active and attitudinal acceptability of reporting own travel data and what factors are central in predicting acceptability. It further explore the relation between these constructs and whether established theories of acceptability explain variations within these constructs as well. Acceptability of and willingness to report own travel data were measured in an online survey among public transport travelers, with a sample consisting of 835 respondents. Acceptability was investigated by use of bivariate and regression analysis. Results show that both active and attitudinal acceptability is high in comparison to results from other studies, and that the respondents’ perceptions of the concept are the strongest determinants of acceptability. The study further demonstrates a positive correlation between active and attitudinal acceptability. Attitudinal acceptability is further a stronger predictor of active acceptability than perception of the concept. This is one of few studies which aim at measuring acceptability and recruiting participants to reporting own travel data. It also serves as a basis for estimating the representativeness of data eventually collected through the application. Thus, by applying acceptability perspectives, studies such as this provide input which shapes the expectations towards technologically based travel surveys. This study clearly shows the complexity in anticipating implementation of measures in public transport and the need for close collaboration with users in developing methods and approaches to improving the public transport system. As a response to climate challenges and increasing congestion in urban areas, Norwegian authorities seek to increase the share of person transport performed by foot, bike and public transport . The potential for increasing the use of public transport in urban areas is significant: more than half of all week day travels in the largest urban areas in Norway are made by car, and the share of public transport travels varies greatly among cities . Between 11 and 25 % of travels in large urban areas are made by public transport . Shifting towards public transport is a question of demand. Research investigating demand for public transport typically considers time values, fares, and service quality . Evaluations of public transport also stress travel times, frequency and reliability. Problems with public transport reliability typically relate to excessive waiting times compared with scheduled departures and excessive in-vehicle times caused by traffic conditions or problems located with the transport operator. Reliability uncertainties also relate to when transport will arrive [5, 6]. In order to meet these challenges and offer attractive public transport services, transport operators depend on a clear understanding of travel behavior . This study contributes to increasing that understanding. Operators often collect a range of data from their own systems which aide them in optimizing the design of transport services. These data provide the operator with information about punctuality, number of passengers, travel time etc. Norwegian public transport operators, however, have less access such data than operators in comparable countries. As public transport travelers are not obliged to validate their ticket when exiting, operators have little data on where their passengers actually travel. Due to capacity restraints, some operators, such as in Oslo, also allow their passengers to enter without validating their tickets. In such cases, documenting the number of travelers on a specific route depends on manual observation and registration. Thus, data available to Norwegian public transport operators are not sufficient in identifying and describing travel chains, which poses a significant challenge to route and transport planners. The research project Smooth Mobility in Oslo (SMiO) aims to develop a solution for collecting supplementary data on the travel patterns of the public transport patronage which makes it possible to optimize public transport in terms of i) capacity and scheduling departures, ii) access time to/from transit stop, iii) waiting time, iv) interchange time, v) delays and vi) prevalence of combined and composite travels. The data will further allow for identifying and describing travel chains with start and end-points beyond the public transport system, calculating waiting time and transfer time, and make it possible to evaluate the accuracy of travel planner, both in terms of time and routes used. In order to collect these data, public transport travelers are asked to report own travels by activating a GPS-based mobile application (the SMiO application). Registered trips will be uploaded to a database and comprise a collection of data which describes the operation of the public transport system and the travel patterns of public transport users. Establishing this database, however, depends on the participation and cooperation of the public transport patronage and it is important to clarify whether they are willing to register and upload travel data. The purpose of this study is therefore to investigate i) attitudes (attitudinal acceptability) towards the concept in which public transport users register their travels in a mobile application, and ii) willingness to actively report own travels (active acceptability). Attitudinal acceptability refers to an individual’s general attitude towards a concept such as the one presented here, whereas active acceptability refers to the same individual’s willingness to actively log and report own travel data. In distinguishing between active and attitudinal acceptability this study also presents novel constructs of acceptability. The final purpose of this paper is therefore to iii) explore the relation between these constructs and whether established theories of acceptability explain variations within these constructs. The purpose of this study is therefore not to examine the user acceptance of this specific application, but rather to investigate à priori attitudes towards the concept of reporting own travels and willingness to participate. Thus, the SMiO application is considered a measure for providing sufficient data and strengthening the decision basis of public transport providers. As such, this study is conceptually separated from the application as a technological device. Acceptability is a widely studied subject within transport research. The interest in describing and/or explaining attitudinal phenomena can be seen in light of the recognition that policy formulation takes place in a two-way dynamics between authorities and the people . Studies on acceptability mainly serve to disclose unintended consequences and to substantiate whether the implemented measure will have the anticipated effect. Despite that acceptability is a well-recognized subject, the body of research has not been able to provide a clear and uniform definition of the concept or how to measure it [9, 10]. This study employs the definition of acceptability as presented by the CURACAO project, referring to acceptability as relevant stakeholders’ attitudes and prospective judgments of proposed schemes . The CURACAO project further distinguishes between acceptability as an attitude construct which describes the prospective judgments of measures to be introduced in the future, and acceptance as attitudes and behavioral responses after the introduction of a measure (ibid. p.154). Although several studies have used GPS to collect travel data, few report response variations and willingness to participate . A small number of studies indicate a typical response rate of approximately one third [13, 14], but response rates are difficult to measure, as recruitment to GPS based travel surveys is often conducted within the framework of traditional travel surveys. As such, the willingness to participate in studies similar to this one is often skewed. Thus, few studies report acceptability of reporting GPS based travel data. Most studies are concerned with the technological implementation of data collections and devote little resources to potential users. Certain studies show, however, that willingness to track travels is higher in households with high income, households with more than one car and high-tech equipment, younger age groups, and in men [13, 15]. This could be an indirect indication of technological acceptance, but might also reflect variations in measure acceptability. One can expect a certain co-variation between technological user acceptance and measure acceptability, and technological acceptance might very well serve as an explanatory variable of measure acceptability. In anticipating the completion and roll-out of the SMiO application, however, this study does not yet have sufficient data for examining such correlations. This study investigates two dimensions of acceptability: attitudinal acceptability and active acceptability. This distinction is important when discussing measures which depend on the cooperation and active participation of certain groups. The current body of research on acceptability of transport measures rests on frameworks from road prizing studies, where active participation from transport users is not an issue. The purpose of the active acceptability construct of this study is to measure the intent to comply with or act on the measure proposed in SMiO to a larger degree than the attitudinal construct. In this respect this study is distinguished from previous research on measure acceptability in that it recognizes the gap between attitude and intent. The Theory of Reasoned Action, and its later and revised version Theory of Planned Behavior (TPB), are often used to explain or predict behavior in the transport system. These theories suggest that human action is predicted by the intention to act [16, 17]. This intention is in turn influenced by the individual’s attitudes towards the particular action, and his/her subjective norms. There is, however, no necessary relation between attitude and intention to act. This is particularly demonstrated in research on environmental behavior, where several studies show that pro-environmental attitudes do necessarily correlate with pro-environmental behavior [18, 19]. This research argue that such an attitude-action gap is explained by the presence of a range of other factors, individual and contextual, which influence behavioral intention in parallel with attitudes [20, 21]. Our distinction between attitudinal acceptability and active acceptability is therefore in line with established theoretical constructs and solid empirical documentation in other research. The purpose of this study is to investigate i) attitudinal acceptability of the concept in which public transport users register their travels in a mobile application, ii) active acceptability of reporting own travels, and iii) the relation between attitudinal and active acceptability. Anticipating the acceptability of reporting own travel data requires insight into factors which facilitate and influence acceptability among travelers. A vast amount of literature aims at explaining variations in acceptability of transport policy measures, and different studies emphasize different factors. Schade and Schlag  refer to eight factors associated with acceptability: i) problem perception, ii) important aims to reach, iii) information and awareness of options, iv) perceived effectiveness and efficiency, v) the individuals car-orientations, vi) revenue allocation, vii) equity and fairness, and viii) social norms and behavioral control. Their refined model  represents one of few attempts to synthesize different approaches to acceptability in one coherent model. Problem perception refers to a traveler recognizing the problem which the measure is intended to solve. In this study, this relates to understanding challenges with public transport in urban areas. It could also refer to the individual’s experiences with public transport and their subjective opinion on areas of improvement. Scheme perception mainly refers to the individual’s knowledge and understanding of the proposed measure. It is not necessarily the actual design of the measure which influences acceptability, but rather the perception or imagined functioning of the measure. Gaunt and colleagues find, for instance, that misconceptions over measure designs might significantly influence acceptability levels . Further, the acceptability of a given measure heavily depends on its effectiveness and efficiency. Schade and Schlag  define effectiveness as the degree to which the aims of the measure can be reached, whereas efficiency refers to the cost-benefit-relation compared to other measures. They further contain that because of the complexity in measuring efficiency, most acceptability research has focused on effectiveness. This is also the case in this study. Fairness and equity are interrelated, and transportation equity refers to “the question of fairness in access to road infrastructure” . More specifically, equity implies that everyone gets an output reflecting his or her input . Ittner and colleagues  refer to five aspects of policy measures which might reinforce the importance of fairness: i) the effectiveness of the measure, ii) possibilities to sanction incompliance, iii) probability of sanctions being imposed, iv) the fairness in the distribution of costs and benefits, and v) resulting personal benefits. In this study, fairness relates to the expected outcome of reporting own travel data. This is ultimately manifested in improvements in the public transportation system which benefits the individual traveler. As such, fairness is highly related to consequences to self. Consequences to self are considered a strong determinant of acceptability. According to reactance theory, the public will devaluate the attractiveness of forced policy measures which threaten their behavioral freedom . Especially, it predicts that acceptability will decline when people are convinced that measures that reduce their freedom are actually going to be implemented. Thus, acceptability is strongly related to the measure’s perceived consequences to own situation, and there will be increased support among those who believe a measure will overcome a problem they feel personally affected by. This could be related to protection motivation: people will only adhere to a measure if it will shield them from personally experiencing negative consequences . People thus tend to be self-oriented in their evaluation and are more positive if they believe their lives will not be affected. In fact, Schuitema and Steg  argue that the influence on own situation moderates increased acceptability induced by perceived effectiveness. They hypothesize that effectiveness is only related to acceptability when it does not seriously affect one’s own situation. Attribution of responsibility is a product of norm activation theory [see 30] and is an important component in explaining altruistic behavior. It distinguishes between i) responsibility for problem causation and ii) responsibility for solving the problem . In this study, only the second attribute is relevant and might increase willingness to report own travel data. In using the public transport system regularly, and experiencing particular problems, the individual might consider it their responsibility to alert responsible actors about potential problems. The purpose of this study is to examine active and attitudinal acceptability of reporting own travel data and what factors influence such acceptability. Based on previous research and the theoretical understandings of acceptability presented above, five hypotheses are developed regarding expected results. The hypotheses represent theoretical explanatory factors for public transport users’ acceptability of reporting own travel data. As consequences to self in such a measure are largely dependent on the user-interface and user-requirements set by the tool for reporting travels, this construct is not among the included hypotheses. Acceptability of and willingness to report own travel data were measured in an online survey. Respondents were recruited through a continuous omnibus survey conducted by the transport operator, Ruter. For a period of 4 months, participants in the omnibus were asked if they would like to participate in another survey online. Participants signed up by giving their e-mail address. E-mail addresses were forwarded to the researchers, and comprised 594 potential respondents. This resulted in 216 unique replies, indicating a response rate of 36 %. Additionally, the survey was distributed via an open link on the web page of the transport operator and on social media. This resulted in an additional 619 replies, with a total sample consisting of 835 respondents. The respondents cannot be expected to comprise a representative sample of the population is Oslo and Akershus, as the population of interest in this study is users of public transport in the same area. Previous research has described skewnesses between the users of public transport and the general population in Oslo and Akershus , but does not provide sample descriptions which allow comparison to sample data in this study. Sample characteristics are presented in Table 1, which includes characteristics of the omnibus sample, the web sample and the general population of Oslo and Akershus. The table shows that there are slight differences in the respondent samples: whereas the omnibus sample is characterized by more women, more students and thus a lower age average, the web sample is characterized by more employed and older respondents with slightly higher educational levels. 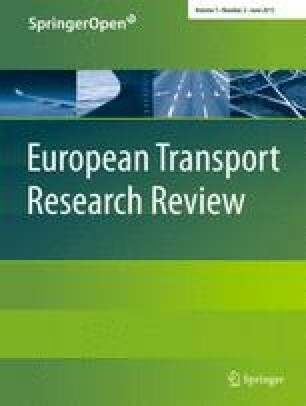 Although the purpose of this study has been to investigate the acceptability of reporting own travel data among current public transport users, examining the sample’s representativeness for the general population of Oslo/Akershus is interesting considering long-term potential for shifting personal mobility towards public transport. Compared to the general population, the respondent samples differ with regard to 5 particular variables. The web and omnibus samples are characterized by overrepresentation of i) women, ii) Oslo residents, iii) age groups under 40 years, iv) respondents with a college or university degree, and v) respondents living close to the public transport system. Two measures of acceptability are included in this study. Active acceptability is measured by the question “Are you willing to report own travel data in a mobile application?”. This measure refers to the individual’s active position towards the concept at hand. Attitudinal acceptability is measured by the question “How do you consider a potential system for reporting own travel data?”, where 1 = very negative, 2 = negative, 3 = neither negative nor positive, 4 = positive and 5 = very positive. The measures of active and attitudinal acceptability are complementary constructs where the first refers to the individual’s personal commitment to the measure and the latter refers to a general disposition towards the concept of reporting travel data. The analysis includes explanatory variables based on earlier studies of variations in acceptability (as elaborated in chapter 2): problem perception, scheme perception, perceived effectiveness, perceived fairness and attribution of responsibility. Problem perception is measured by a dichotomized index consisting of 10 items with correlations between 0.3 and 0.6. The index is based on factor analysis suggesting a single component (average communality = 0.634, n > 250) and has adequate internal consistency (Cronbach’s alpha) of 0.877. The items are listed in Table 2, and each item is rated on a scale from 1 to 5. Item values are reversed before indexing, allowing high values to indicate high problem perception. The Problem perception index is further dichotomized into a variable High problem perception where 0 = low problem perception (0 through 2) 1 = high problem perception (3 through 5). Scheme perception is measured by the question “Do you find the above explanation easy to understand?” where, 1 = very difficult, 2 = difficult, 3 = neither difficult nor easy, 4 = easy, and 5 = very easy. The measure description is provided in Table 3. A pilot study now encourages the participation of users of public transport to voluntarily report their travel activities by use of their own smartphones. The purpose is to evaluate the potential for facilitating and improving public transport based on more precise information about travel patterns. Participants to the study download a mobile application which they activate at the start of each travel. This application registers the movements of the participants, and the participant can choose to report these registrations to a data base. Both the registrations and the data base are approved by the Norwegian Data Protection Authority. Among other things, these data can provide the transport operator with information about place specific bottlenecks in the transport system, which facilitates targeted measures for improving public transportation. The individual participants decide themselves what travel data they wish to report, and data cannot be traced back to the participants. As this question merely provides a subjective measure on scheme perception, another measure is included to control for the factual understanding of the scheme. Respondents rate their agreement with the following statement “The purpose of the measure described above is to collect more precise information about challenges in public transportation”, on a scale where 1 = strongly disagree, 2 = disagree, 3 = neither agree nor disagree, 4 = agree and 5 = strongly agree. Perceived effectiveness is measured by two statements which the respondents categorized according to their own agreement/disagreement: “The measure will provide the transport operator useful information” and “The measure described earlier allows my experiences to be taken into account”. For both statements 1 = strongly disagree, 2 = disagree, 3 = neither disagree nor agree, 4 = agree and 5 = strongly agree. Perceived fairness is measured by one statement which the respondents categorized according to their own agreement/disagreement: “The measure will give me improved public transportation”, where 1 = strongly disagree, 2 = disagree, 3 = neither disagree nor agree, 4 = agree and 5 = strongly agree. Attribution of responsibility is also measured by one statement which the respondents categorized according to their own agreement/disagreement: “The measure described earlier ascribe travelers too much responsibility for improving public transportation” (reversed), where 1 = strongly disagree, 2 = disagree, 3 = neither disagree nor agree, 4 = agree and 5 = strongly agree. Table 4 summarizes explanatory variables related to scheme perception, perceived effectiveness, perceived fairness and attribution of responsibility. In the following, these variables are referred to as Scheme I, Scheme II etc. as named in the table. Do you find the description of the measure easy or difficult to understand? More than half of all respondents are positive towards the concept of reporting travel data. In total, 61 % of respondents report high attitudinal acceptability (positive or very positive), whereas 19 % report low attitudinal acceptability (negative or very negative). The remaining 20 % report moderate attitudinal acceptability (neither negative nor positive). Further, 63 % are willing to report own travel data, showing high active acceptability. In order to explore the role of respondent characteristics and explanatory factors, bivariate analyses are conducted for both active and attitudinal1 acceptability. Bivariate analyses of attitudinal acceptability show that men (average attitudinal acceptability of 3.67) have greater support for the concept of reporting travel data than women (3.47) Attitudinal acceptability also tends to be higher in residents in the Akershus county, and is higher in youngest age groups compared to the oldest one. There are no clear variations related to education or occupation status, although respondents who are retired, disabled or unemployed report slightly lower acceptability than others. This is, however, not significant and result from the correlation between age and main occupation (−0.126, p < 0.001). There are no significant differences in attitudinal acceptability according to the travel characteristics of respondents. Table 5 reports bivariate analyses of the relation between active acceptability and respondent characteristics. The table shows that the willingness to actively report own data is higher in men than women, in the youngest age group and in respondents who travel by public transport at least 2 times per week. In the other end, age groups above 60 stand out with a particularly low willingness to report own travel data. Unsurprisingly, both attitudinal and active acceptability increase with increasing levels of scheme perception, perceived effectiveness, perceived fairness and attribution of responsibility. Table 6 shows average values for explanatory factors in groups willing/not willing to report own travel data, and in groups with low, moderate and high attitudinal acceptability. For one, the table shows that average values increase with increasing acceptability. The exception is problem perception, where there is a lack of consistent and significant results. Secondly, the table shows that scheme perception (both subjective and objective) and effectiveness have the highest average values in nearly all groups. Data also shows a certain correlation between active and attitudinal acceptability (r = 0.491, p < 0.001); respondents who are negative towards the concept itself are less willing to actively report own travel data. However, one third of respondents not willing to report own data have high attitudinal acceptability of the measure. This relation is described in Fig. 1, which shows percentage of respondents with different levels of attitudinal acceptability who are willing to actively report own travel data. The relation between active and attitudinal acceptability, as well as the influence of explanatory factors presented above, is presented in Fig. 2. All correlations are significant (p < 0.001). Problem perception did not correlate with neither attitudinal nor active acceptability, whereas the other explanatory factors all show significant correlations. The figure shows that all explanatory factors correlate more strongly with attitudinal acceptability than with active acceptability. Perceived effectiveness and perceived fairness are the strongest predictors of both acceptability measures. The figure suggests that included factors are relevant in explaining both active and attitudinal acceptability. In order to investigate the isolated effects of explanatory variables on attitudinal acceptability, a linear regression analysis was conducted (see Table 7). The model includes three blocks of independent variables; respondent characteristics, travel behavior and explanatory variables. The overall explanatory power of the final model is fairly good, with r2 = 0.35. Respondent characteristics have low explanatory power, and in the final block only ‘male’ is significant. The models also include a control variable ‘sample’ which indicates whether respondents are recruited through the omnibus survey or have signed up for the survey online. This variable does explain some variance not covered by the other variables in block 1 and 2, but loses its significance when explanatory factors are included. Thus, there is consistent lack of contribution to the model by respondent characteristics. Further, none of the indicators of travel behavior makes a significant contribution to the model. Nearly the entire variation of attitudinal acceptability accounted for by the model is explained by the explanatory factors. In line with Fig. 2, perceived fairness is a strong predictor whereas sense of responsibility is the weakest factor. A central purpose of this study has also been to investigate to potential correlation of active and attitudinal acceptability, and this correlation is confirmed in Fig. 2. It has been somewhat unclear, however, whether the explanatory factors which proved to influence attitudinal acceptability bring similar contributions in explaining active acceptability. Table 8 shows block-wise binary logistic regression models of active acceptability, with one block including already recognized explanatory factors of acceptability and one block including attitudinal acceptability as a single explanatory factor. The model also shows the exploratory power of respondent characteristics and travel behavior proved relevant in the descriptive analyses. In block 3A only three explanatory factors are significant, but the results confirm the robustness and strength of perceived effectiveness and perceived fairness seen above. In particular, Effectiveness I The measure will provide the transport operator with useful information is prominent. Including attitudinal acceptability as an explanatory variable in block 3A rendered other explanatory factors not significant, and the collinearity of explanatory factors and attitudinal acceptability calls for identifying which (set of) factors provide(s) most contribution to the model. The explanatory power of block 3A and 3B was therefore tested. Overall, the combined explanatory factors (block 3A) contribute with significantly (p < 0.001) lower explanatory power (−2LL = 762,722) to the model than the single measure of attitudinal acceptability (block 3B) (−2LL = 738,286). In total 61 % of respondents report high attitudinal acceptability of reporting own travel data, and only 1 in 5 are negative or very negative. Further, 63 % are willing to actively report own travel data themselves. H1 is rejected. All explanatory factors except problem perception correlate significantly with attitudinal acceptability. When controlling for all relevant factors in the linear regression model, high problem perception also makes a significant contribution to the model. These factors account for nearly all the variation in attitudinal acceptability in the model. H2 is not rejected. All factors correlate significantly with active acceptability except from problem perception and sense of responsibility. When controlling for all relevant factors in the logistic regression model only perceived effectiveness and perceived fairness remain significant. H3 is thus not rejected for perceived fairness and effectiveness, but H3 is rejected for problem perception, scheme perception and high sense of responsibility. The data confirm such an assumption and also shows that attitudinal acceptability is a strong predictor of active acceptability. H4 is not rejected. The logistic regression model shows attitudinal acceptability to significantly influence active acceptability, and attitudinal acceptability is a stronger predictor of active acceptability than explanatory factors. H5 is not rejected. The purpose of this study is to investigate i) attitudinal acceptability of the concept in which public transport users register their travels in a mobile application, ii) active acceptability of reporting own travels, and iii) the relation between attitudinal and active acceptability. As the SMiO application which will be used for reporting these data was yet to be launched at the point of this study, the study has focused on acceptability of the concept rather than technological acceptance. A survey among 835 respondents shows that both active and attitudinal acceptability is high in comparison to results from other studies. This might reflect the composition of the sample: as most respondents hold a travel card, travel with public transport frequently and live close to the public transport system, they can be expected to be more interested in and dedicated to public transport than the general population. Being familiar with challenges in the public transport system the respondents might to a larger degree recognize the need for forwarding information to decision makers (i.e., the transport operator). This is reflected in the strong explanatory power of perceived effectiveness in the data. The sample is further younger and more educated than in the general population, which might explain higher acceptability in this study than in acceptability studies in wider samples. It is difficult to assess if the findings of this study are valid for the general public transport patronage. In light of official aims to increase the usage of public transport, the sample used in this study might not be representative for future users. However, the results interestingly show that once explanatory variables are included in the analyses, respondent characteristics are no longer relevant. Thus, most prominent in this study is the contribution of explanatory factors based on earlier studies of variations in acceptability. Although problem perception has the strongest coefficient, perceived fairness makes the strongest potential influence with a higher maximum value. The strong explanatory power of perceived fairness suggests that it is crucial to relate the concept of reporting own travel data to benefit for the individual public transport user. Focusing on expected impacts and improvements will thus be cardinal in recruiting travelers to report own travel data. Further, scheme perception is highly relevant for predicting attitudinal acceptability. This suggests that implementation must be accompanied by meticulous information dissemination, both related to its purpose, functioning and expected results. Additionally, one might expect scheme perception to increase after the SMiO application is launched. Studies show that acceptability tends to increase when influenced actors become more familiar with the measure , and negative attitudes can be overcome if people are informed why the measure can produce superior outcomes . Interestingly, effectiveness proves a less prominent factor than expected. This might result from overlap with perceived fairness. As it relates to the individual gaining an output which reflects the input, fairness could also be considered a measure of effectiveness in reaching the interest of the individual, i.e., improved public transport. Thus, challenges with operationalizing theory into distinct constructs might cause the fairness construct to also reflect the contribution of perceived effectiveness. This is one of few studies which aim at measuring acceptability and recruiting participants to reporting own travel data. A concern in that respect relates to the resulting sample representing ‘current public transport travelers’ rather than the general population. However, it has not been the purpose of this study to investigate the acceptability of the general population but rather users of public transport who are currently in position to report own travel data. In focusing on current users of public transport, the findings of this study are not likely to result in broad recruitment of new public transport users. More data and improved accuracy on travels performed in the public transport system might in the first instance contribute to solving challenges and facilitating innovations which benefit current users. Maintaining high quality of transport services over time, however, might in turn recruit new users. As the general perception of public transport improves, data collection might thus facilitate a long-term shift of urban travel towards public transport. This study does not only provide a priori assessment the concept in which public transport users report own travels in a mobile application, but also serves as a basis for estimating the representativeness of data eventually collected through the application. Thus, by applying acceptability perspectives, studies such as this provide input which shapes the expectations towards technologically based travel surveys. The theoretical expectations underlying this study derive from research on road pricing measures, and have to the authors’ knowledge not been extensively validated outside this field. As such, this study shows that these theoretical assumptions are also appropriate when investigating the acceptability of other types of measures. Further, this paper has presented a new active acceptability construct which to a larger degree than the attitudinal construct measures the intent to comply with or act on a measure. In this respect this study is distinguished from previous research on measure acceptability in that it recognizes the gap between attitude and intent. This distinction is particularly important when discussing measures which depend on the cooperation or active participation of certain groups, which does not characterize road pricing measures around which existing theoretical constructs are built. This study clearly shows the complexity in anticipating implementation of measures in public transport and the need for close collaboration with users in developing methods and approaches to improving the public transport system. As Norwegian operators of public transport do not currently have sufficient data for sorting out the detailed travel patterns of their patronage there is a pressing need for engaging travelers more directly. Thus, as this study helps clarify the potential for accessing data through travelers reporting own travels, it is the first step towards improving the practice and leeway of planners and decision makers in public transport. Bivariate analyses for average attitudinal acceptability are statistically significant for gender (p < 0.001), youngest and oldest age groups (p.05), residency (p.09). The research reported here was part of the Smooth Mobility in Oslo (SMiO) project with funding from the Regional Research Fund in the Oslo region. The authors would like to thank colleagues and other partners in the project for their contributions and collaboration. Schlag B, Teubel U (1997) Public acceptability of transport pricing. Dresden University of Technology. http://vplno1.vkw.tu-dresden.de/psycho/projekte/afford/download/IATSSRP.pdf.